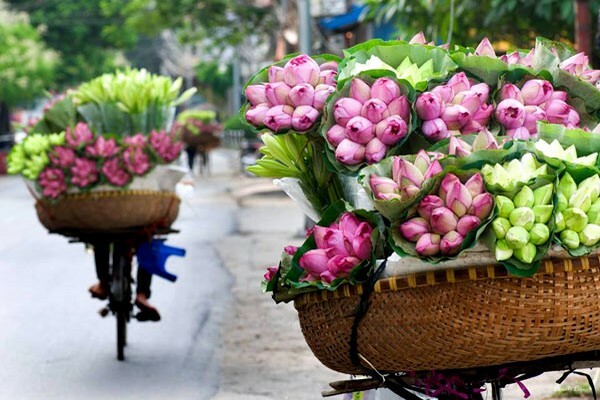 Hospitality attitude, rich cuisine and beautiful sightseeing are some main reasons why tourists love Vietnam. Vietnam is a country with lots of beautiful scenery as well as a long cultural history. Many tourists when visit Vietnam will find out themselves a reason to come back. Here are common reasons which make Vietnam become impressive destination for foreign visitors. From north to south, visitors will be able to find yourself the magnificent scenery overwhelmed emotionally, from ancient and peaceful city such as Hoi An, to the yellowing terraced nursery in the north west or business cities such as Ho Chi Minh or Hanoi. 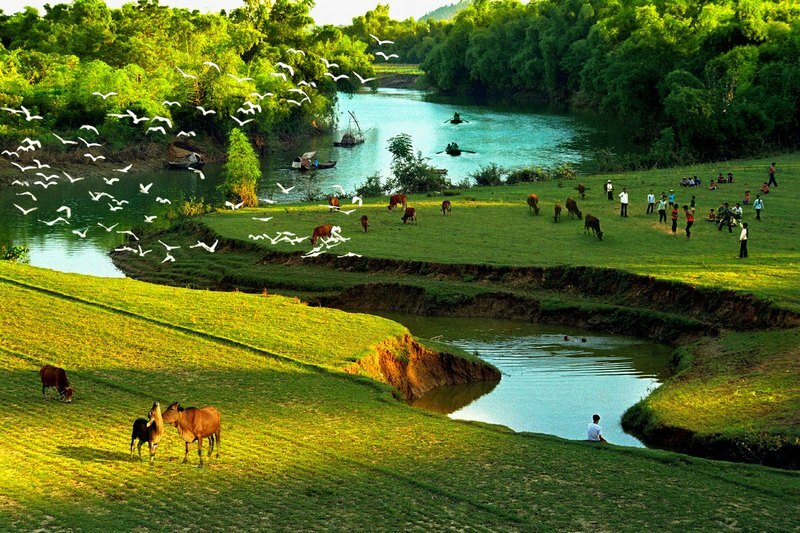 The beauty of Vietnam stretches following length of the country. 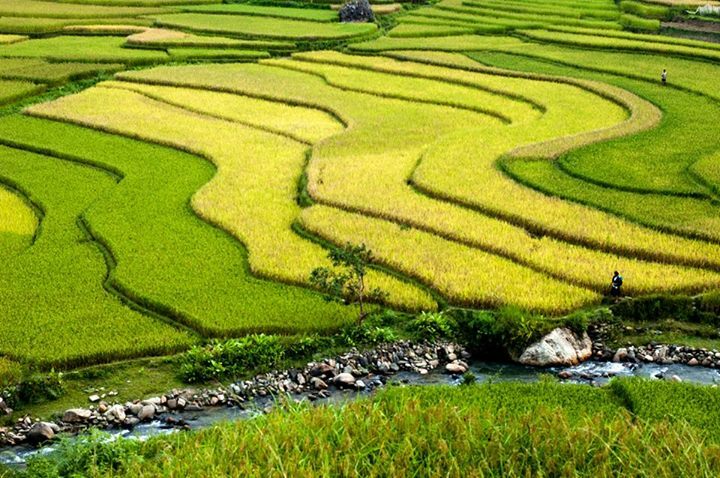 If travelers loving trekking or rice terraces, Sapa or other provinces in the north west are what they are looking for. If beachesyou’re your interest, many beautiful beaches in the central or Phu Quoc Island are really to welcome you. 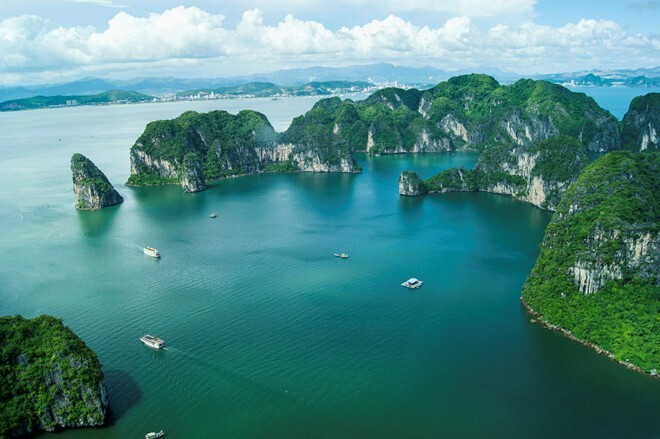 If you visit Vietnam, do not miss Halong Bay – one the seven new wonders of the world. 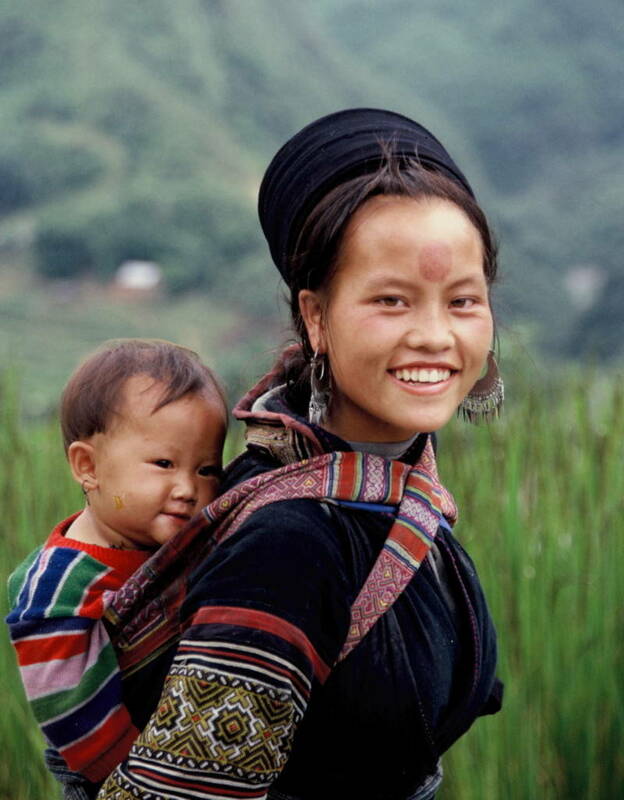 Vietnam has 54 ethnic groups; each owns a unique culture and traditions. 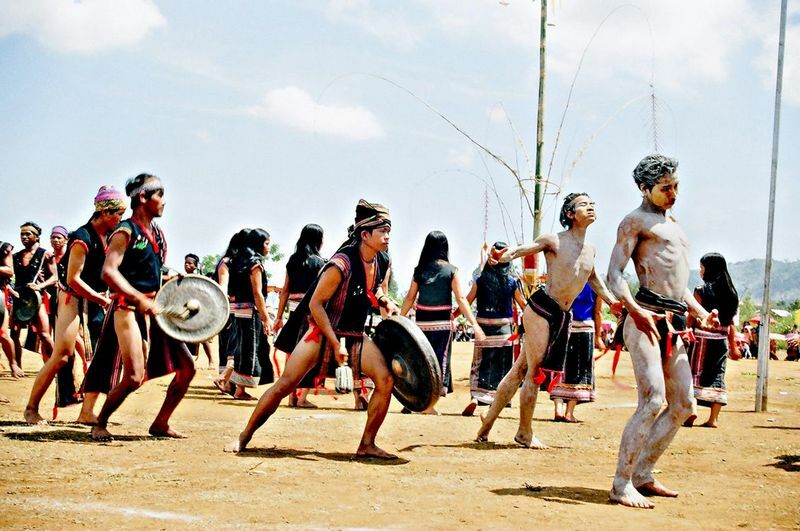 These particular cultures create new experience for visitors. They can visit Hue city to enjoy Court Music, come to highland area to swim in festival gongs, travel to Sapa to visit unique Love Market without goods or services but love, etc. Apart from tourism sites or activities, travelers can easily run into rhythm moments of daily life of locals which are the old stuff but valuable. More importantly, foreigners can experience to stay as a local by joining daily activities such as growing vegetables, fishing, going to market to buy ingredient to cook with locals, etc. Cuisine is one of the important plus point to attract tourists to Vietnam. 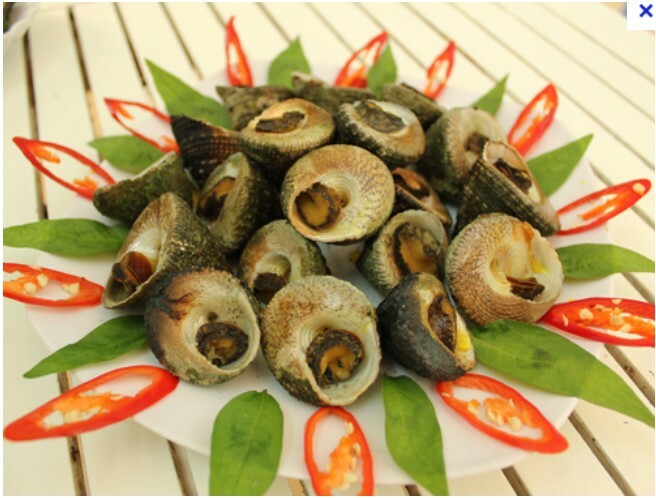 In addition to very famous “Pho”, when tourists visit each province in Vietnam, you can enjoy rustic specialties such as Shrimp & pork stuffed in tapioca flour (banh bot loc) or Steamed rice cake with shredded shrimp topping (banh beo nhuy tom) in Hue, “Vú nàng” snail in Con Dao Island, etc. You do not need to waste money in high-end restaurants; just 1-3 dollar is enough for you to enjoy a delicious dish in a simple dinning or a street vendor. It is easy for tourists to get a friendly attitude on streets. Not only salesperson, but strangers and children normally smile with foreign visitors and say “hello”. Although not all Vietnamese can speak English, they will find another ways like body language to show you directions if you get lost. This attitude makes visitors feel be welcome in this Vietnam. This attitude is more impressive with minor ethnicity in the northwest mountainous area such as Sapa or Mekong Delta in the south.